If you’ve ever crashed your bike you know that it does not come cheap! With some sports bikes, just tipping them over in your garage may be enough to total them; of course, if this happens, you can always sell your motorcycle for cash and minimize your financial loss. So you need to give your bike some extra TLC to make sure that does not happen. Riding a motorcycle is actually, physics. Momentum is made of speed and the mass of the moving object. When there is a collision, the change in momentum is measured to show how much force acts on the moving object – in this case you and/or your bike – to determine the extent of damage. Collision force = Change in Momentum/duration of the collision. What is a frame slider? While there are different designs of frame sliders, cylindrical ones are most common, and are usually made of hard plastic, nylon or aluminum. 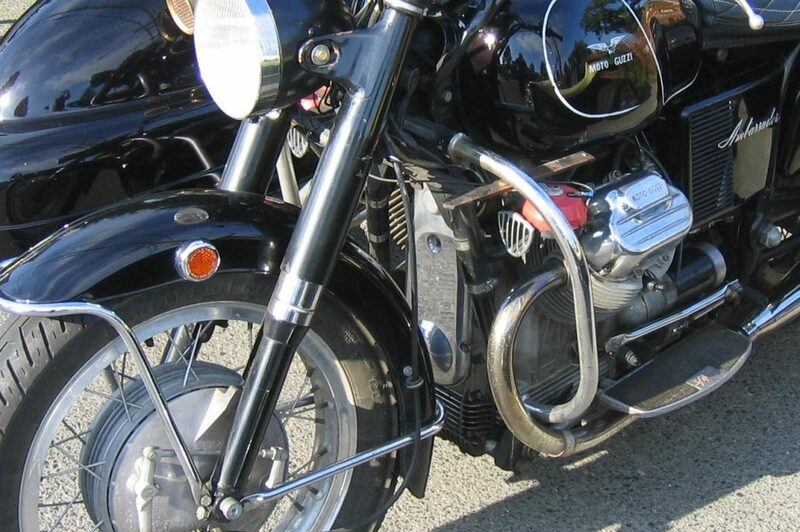 Ideally, they are mounted at the firmest part of your motorcycle chassis – usually, where the frame and engine meet. How does a frame slider help? A frame slider delays the time needed for the collision to complete and spreads out the impact force by allowing the bike to kind of slide to a stop, seemingly as in slow motion. This has two advantages: it lowers the force of the impact, and it reduces the total force your bike absorbs in a few important ways. Since the sliders are firmly attached to your bike’s frame or engine block, they protrude outwards and take the first hit in the event of the bike falling. Frame sliders are especially useful when you’re riding the bike at low to medium speeds, or if it gets knocked over accidentally when stationary. Though it may not provide a great deal of security when riding at high speeds, it will still provide some kind of protection. Of course, there’s always the chance that in spite of this protection, your bike gets badly damaged in a crash. In such a case you can still make some money from your bike. At The Bike Buyers, we buy motorcycles in any condition – even if it’s not in a working condition. If you’ve got a bike that’s junk now, just give us a call at 877-751-8019. We will take a look at it, quote you a price and pick it up too!